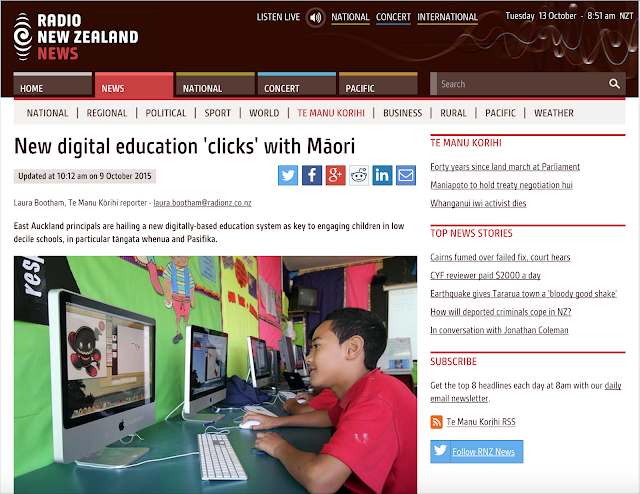 A recent article on the Tāmaki Redevelopment Company website talks about the three classes that have had their films chosen for screening at Movies in Parks 2016. 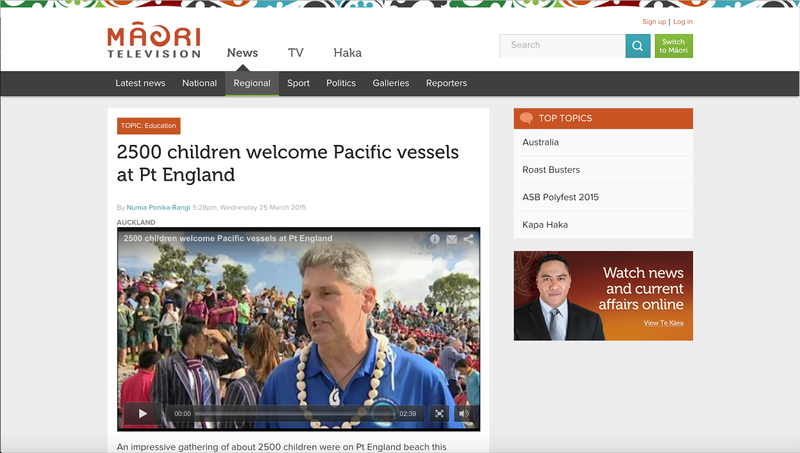 Previously shown as part of the Manaiakalani Film Festival, the selected films are They’re Coming by Glenbrae School Film Club, Talk About It by Room 13 at Pt England School and The Manaiakalani Story by Pt England's Room 27. 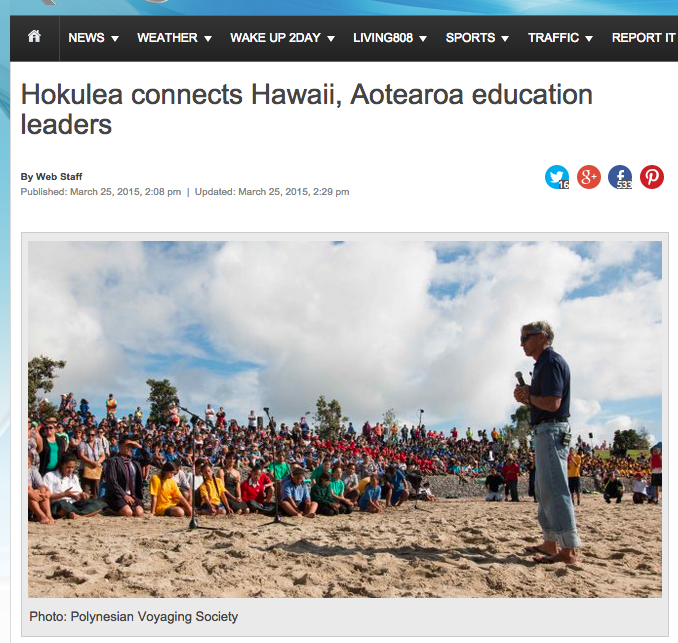 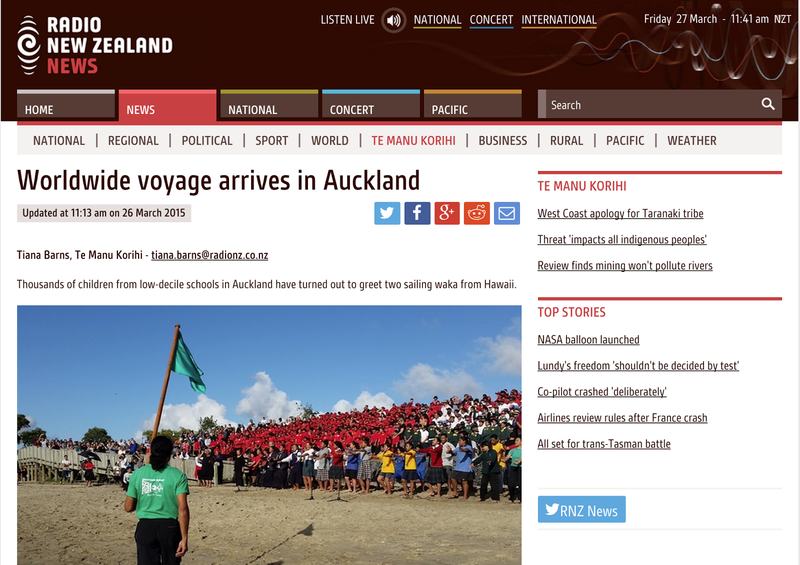 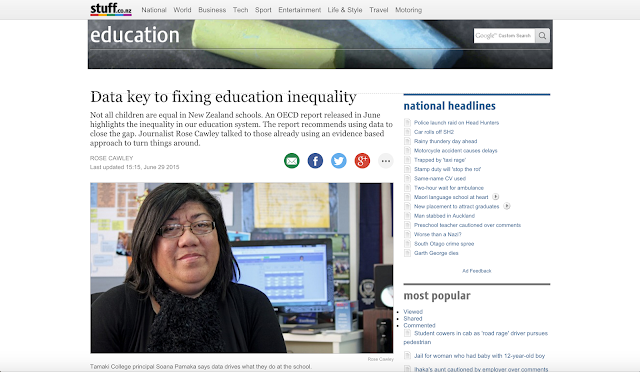 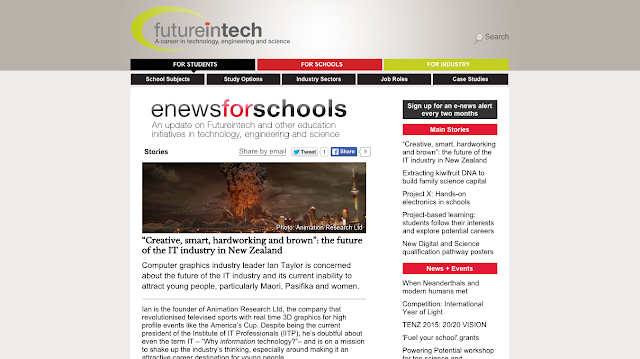 Manaiakalani has been featured in an article for the Radio New Zealand News website. 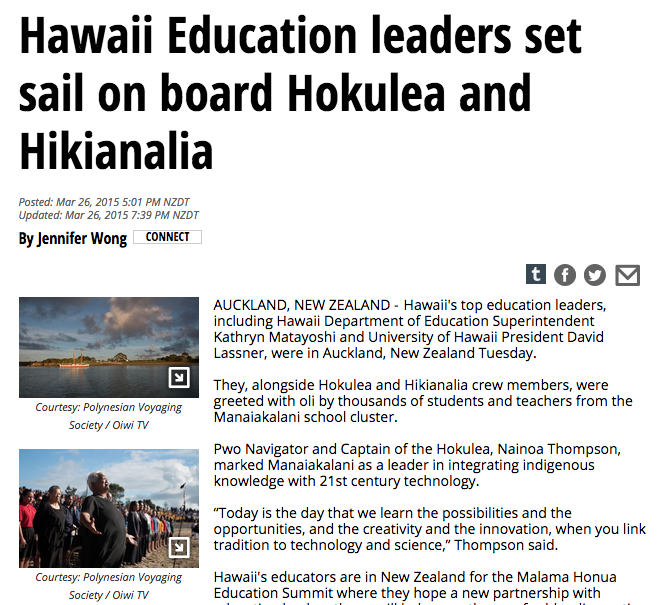 The piece features quotes from Manaiakalani Cluster school principals: Russell Burt, Rhonda Kelly and Gael Vickers. 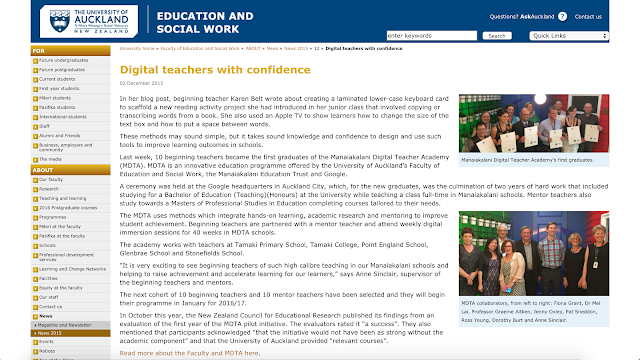 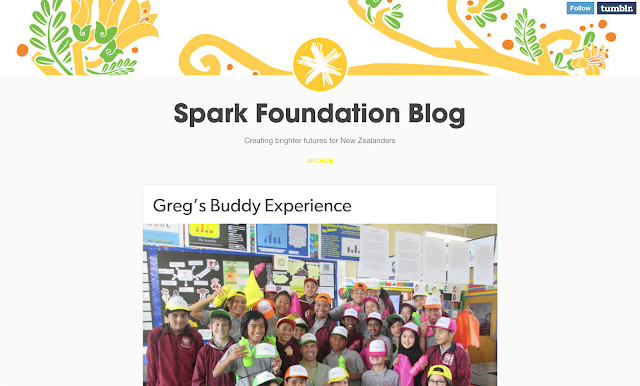 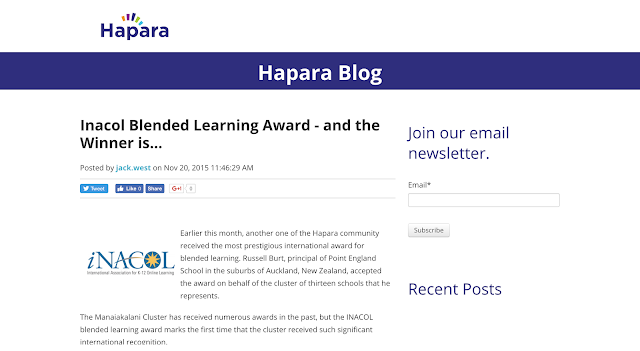 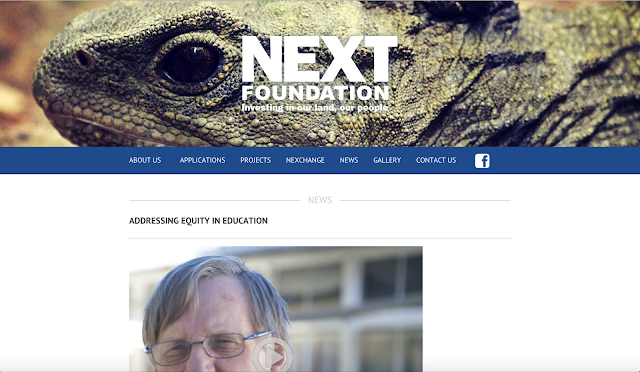 Our friends at Hapara have released a case study on Manaiakalani and the way we use digital teaching. 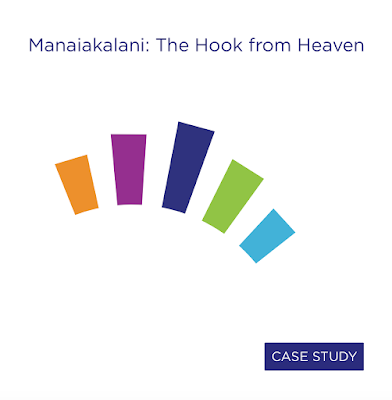 "Manaiakalani schools infuse training in self-awareness and self-regulation into the experience of their children. 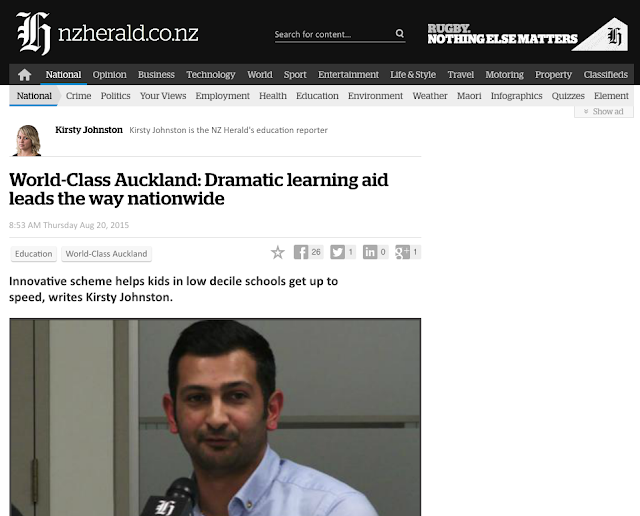 By using progressions, self assessment, and teacher feedback/feedforward, students are able to know exactly what they have learned, assess how well they have done, and understand what they need to learn next."